You said in 2014 you would spend less money on things you don’t need. Fortunately for you, you still have a day to hold off on the News Year’s resolutions. And we all know January 1st doesn’t count anyway. When you wake up New Year’s day regretting being born and are lying to yourself about your future drinking habits, at least you’ll have a nice new game to play in between prayers at the porcelain altar. Without further adieu, here’s our list of worthy games, most at least at half their regular price, to pick up from the soon to pass Steam Holiday Sale. Some of these games will make you have funsies, some will make you fu%@##&#$!, some will make you think, others rely on primal instincts, or make you give up on that promise to never drink again. Just one more. Just one more. That’s what you’ll keep telling yourself after you die for the 1500th time. Next thing you know, 6 hours and 100 generations have passed. 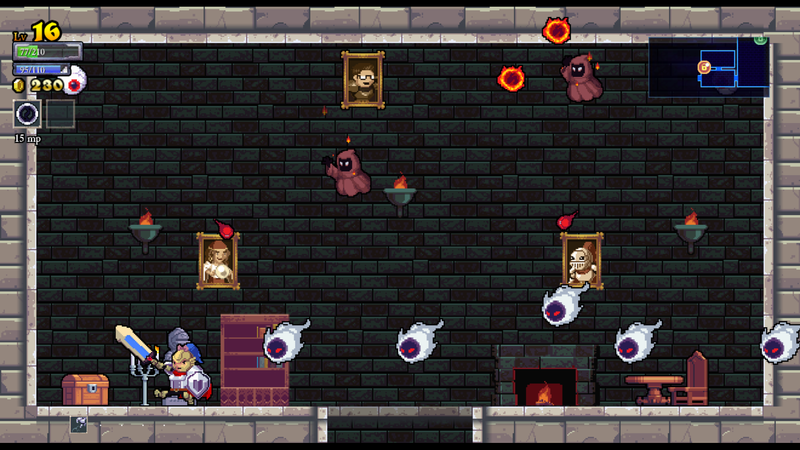 Rogue Legacy is an indie platformer of the nostalgia persuasion. 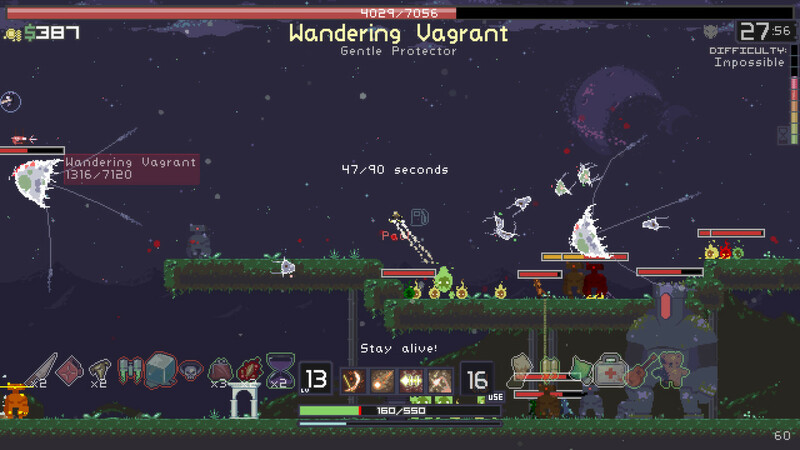 It’s a roguelike with randomly generated levels, loot, and perma-death. Yet, Rogue Legacy transcends death, eschewing the attitude its 16 bit ancestors and roguelike siblings established for end game conditions. 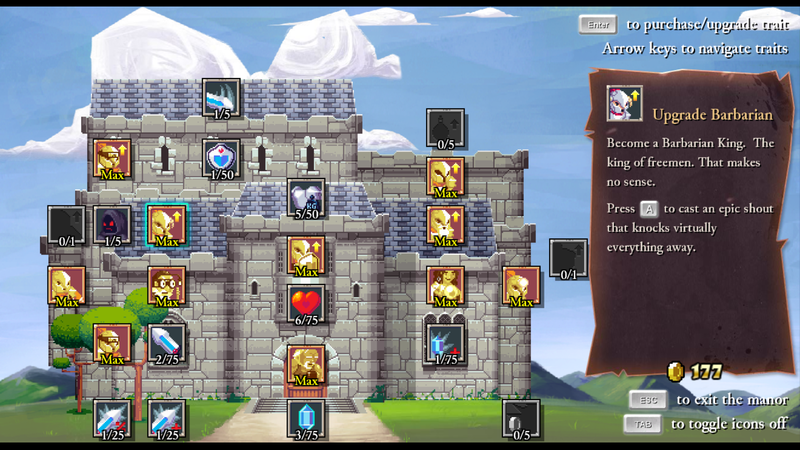 You begin as a knight on a quest to get through a randomly generated castle and obtain some McGuffin. All of the story proper is given through notebook entries that you sometimes find, which are surprisingly clever, funny, and bring a tinge of sadness to this seemingly unending adventure. From there you die and die and die, never to see that character again, but with a gimmick. 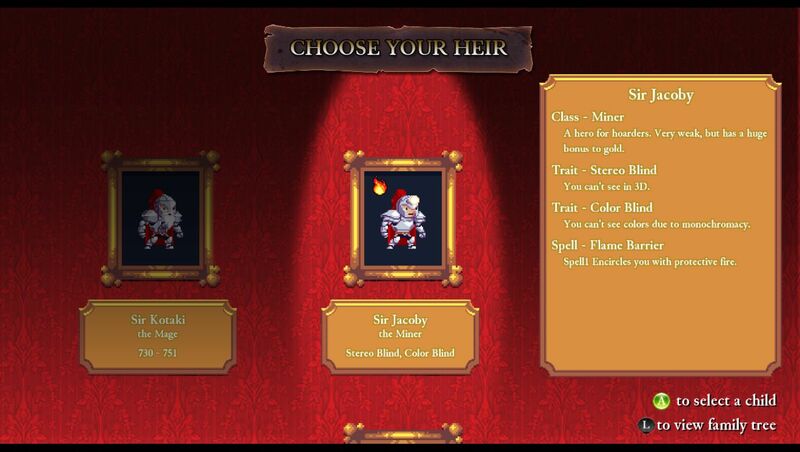 Each death allows you to add upgrades and equipment to your family enterprise after choosing a new heir to your castle. Each heir is crapshoot of class, gender, and a genetic disorder (expcept being “gay,” which is probably a thoughtless joke) that have benefits, drawbacks, or no effect. This trait system is just about as useful as being “gay” in the game. 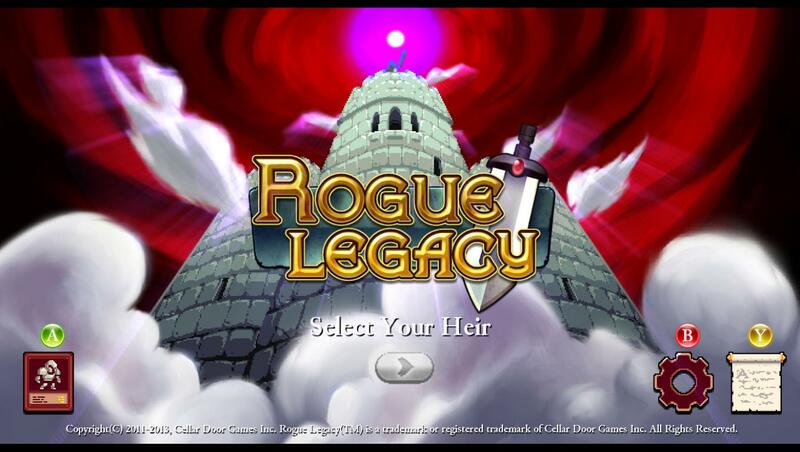 Ultimately, Rouge Legacy is about the Metroidvania adventure in itself. The journey is certainly more important than the end here. If you play well, meaning more gold, the end of each gold farming run is full of rewards, rewards that will allow you to start the process all over again. Teleology is sold for loot that feeds further into the endless feedback loop of Pavlovian response. It’s an addicting hamster wheel of a game and has a grind with self-awareness that has us learn, not earn (through buying), our skill up its muddy mountain slope. Death isn’t used as way to punish you for your mistakes, but as an obstacle to avoid, your driving desire, so that you may get more gold to run through the dungeon again and make another percentage of progress in order to make another percentage of progress. And so it goes. 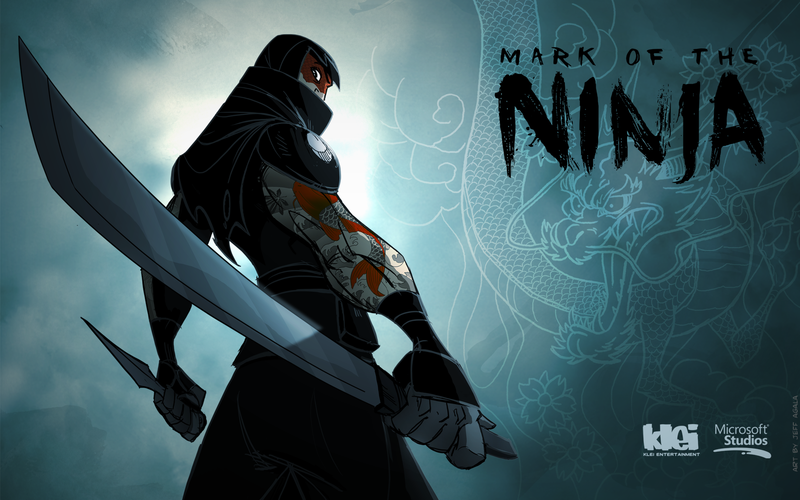 Mark of the Ninja is a 2D puzzle platformer that lets the player explore a world filled with stunning art, fluid controls, and fun puzzles. 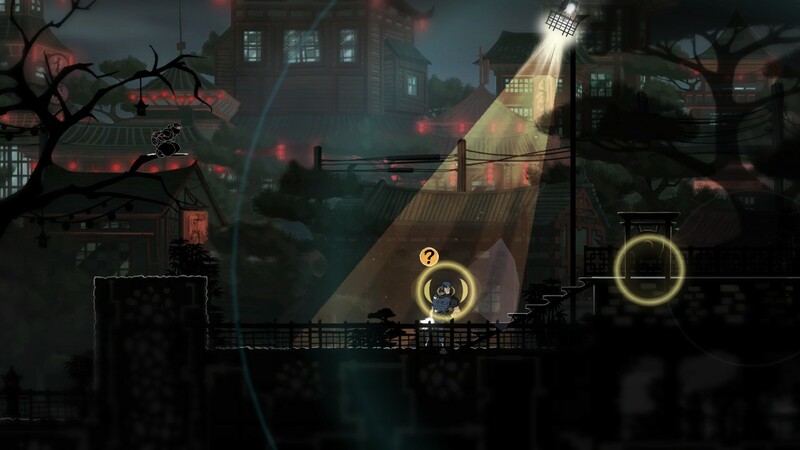 You play as a nameless ninja master who uses his arsenal of ninja tricks to sneak past, distract, or kill a variety of enemies in order to rescue allies, obtain artifacts, and unlock achievements. This game is seriously fun, and since the Steam gods smiled down upon me and released it for Mac earlier this year, I’ve had a blast crawling through vents, dashing across rooftops and scaling walls. This is probably the closest you and I will ever come to being a ninja. The real strength of the game appeared to me on an early level as I stealthily (read: clumsily) tried to get past some guards. As I stomped loudly through an airduct above some their head (I’d forgotten how to walk quietly), the guards heard me and began to shoot wildly at nothing. Though none of the bullets hit me, I stopped to reassess my plan. I listened to the guards’ frightened whispers, “Did you hear that?” “Where’d he go?” “Where the hell is this guy?” After that, I didn’t feel like a super badass when I snapped their necks a few minutes later. I felt like a failure, a ninja who hadn’t been totally stealthy in my approach, but instead just a cheap assassin. If you could make an exact copy of yourself and have this copy work as an extension of your own bodily control, would you feel morally conflicted? That’s the obvious question that The Swapper asks its players. And this game is all about asking. 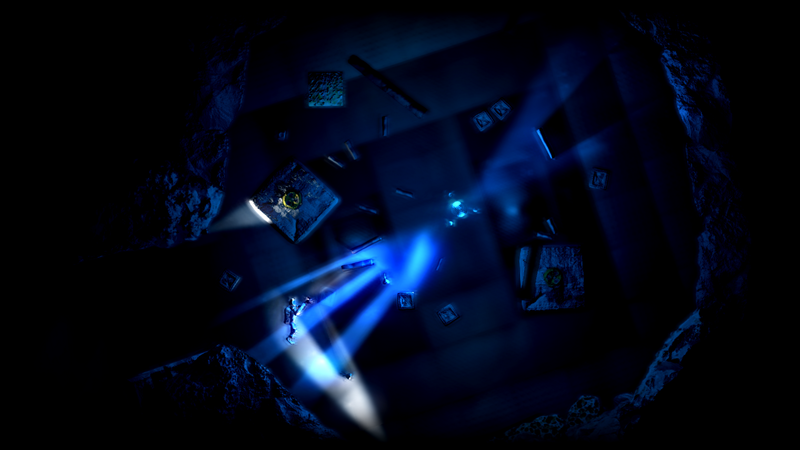 Asking the player to solves its elegant and stand-up-and-cheer satisfying puzzles. Asking the player what it thinks of the mind-body problem. Asking the player to listen to the thick thud of bones and innards smack the ground as yet another clone is brought to their death for the purpose of your own experimentation. This sci-fi game takes place on, you guessed it, a derelict space station. Yet, it’s more Issac Asimov than Aliens. 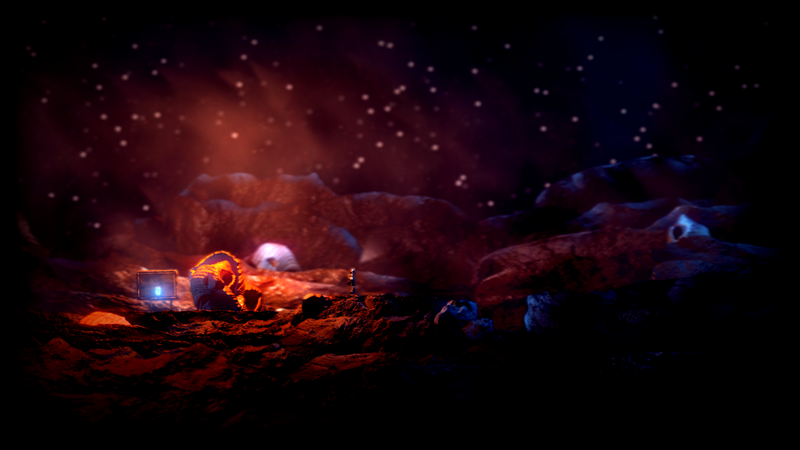 The game’s gorgeous and all handcrafted art style is a bit like a claymation. Claymation, if Wallace and Gromit fell in love with Dead Space and was directed by Stanley Kubrick. This malleable material seems appropriate for a mind-bending game. Besides tasty puzzles, the game is a pretty staunch attack against philosophical materialism, which seems oddly metaphysical, and although I quite enjoy that take on the perennial questions in 17th through 19th century literature, the arguments are hard to buy into at first in an age of scientific pope-ism. But play the game, writer Tom Jubert is a much better teacher than I am with his recently obtained M.A. in philosophy. Cue moral imperative. Swapping is the throwing of consciousness to another body, so I’m not completely convinced of the obvious moral dilemma the community keeps going on about. Although the unanswerable question remains whether the other bodies have a consciousness without agency or are those bodies meat tools to be used to escape a space station? Do these bodies have value regardless? Do they deserve autonomy? What is consciousness? Are we all just meat tools? These are the many, many, inquiries the game forces you to make as brilliant puzzles teach you how to logic. And this why you should play this game because it asks many questions and makes the player part of the larger neurological network, a discursive web, that has yet to give a decisive answer to these questions of clone morality, identity, consciousness, meat tools, memory, the mind and body. The game has its own answer and take on all these “is this real life?” explorations, but so much is going on here, it’s doubtful that even the developers escape the contradictions inherent to complexity. 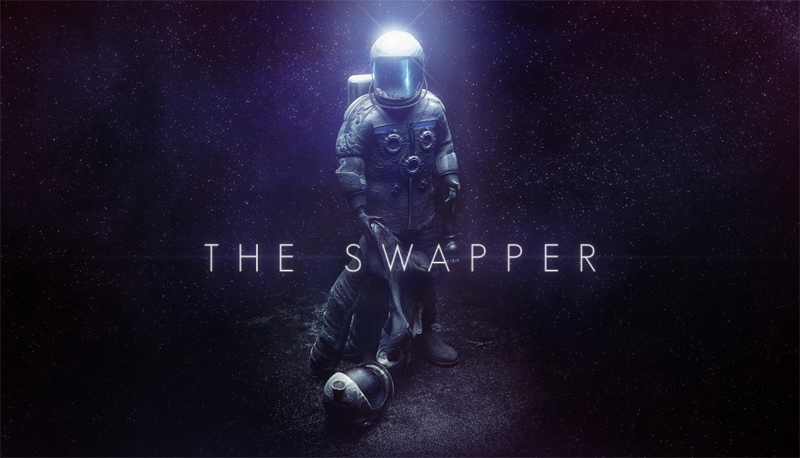 The Swapper’s true moral dilemma is saved until the very end and is an ending that alone makes the game worth picking up. It’s the greatest invasion of personal space. Not unlike how The Swapper’s telepathic rocks (come on, you have to be curious) invade your own grey matter. But for all its high minded mental masturbation, The Swapper never forgets the puzzles. 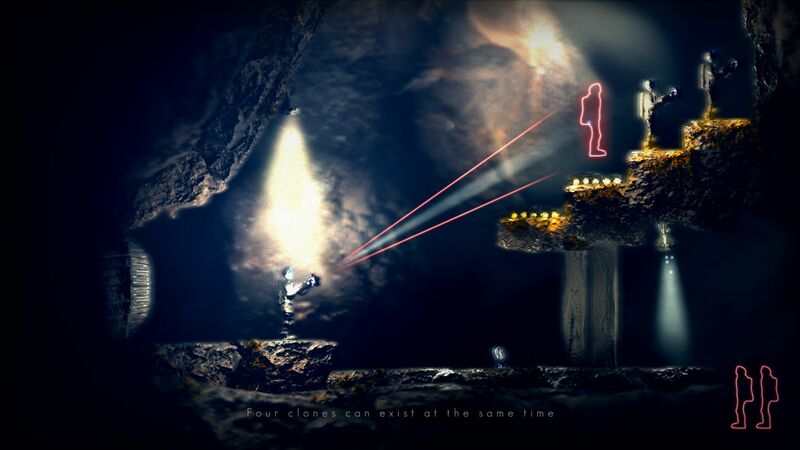 Everything extends from a thoughtful ménage à trois between the swapper mechanic, physics, and environmental obstacles. These puzzles really are delicious works of deduction and mental marination. 2013 has been the year of the roguelikes. Luckily, Valve has given us plenty of roguelike meat to chew on over and over and over and over again during this beautiful Steam Holiday Sale. (Not an exaggeration.) While I am typically a bigger fan of long-form, narrative-based titles, Risk of Rain is what truly caught my eye during the Steam Holiday Sale. Developed by two college students from the University of Washington under the name Hoploo Games, Risk of Rain takes a new twist on the traditional roguelike structure. 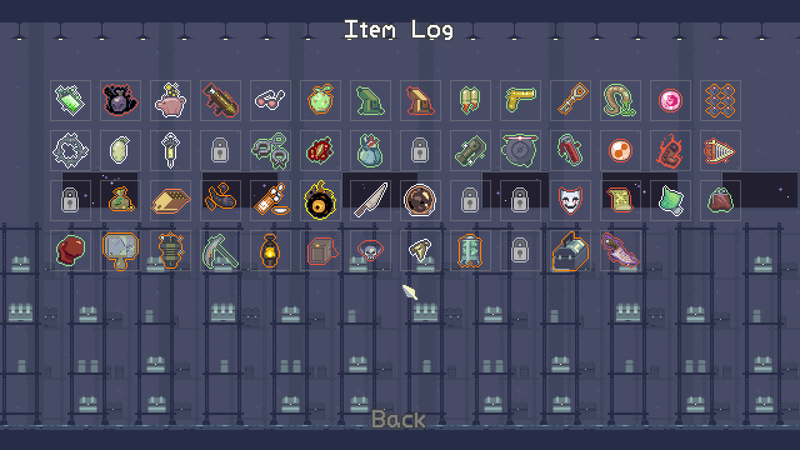 Although roguelikes and platformers in general are typically not my cup of tea, Risk of Rain has turned me back on to this varied sub-genre of gaming. I can’t say that I regret it. Before you even think about buying this game, know this: it is hard and damn frustrating too. 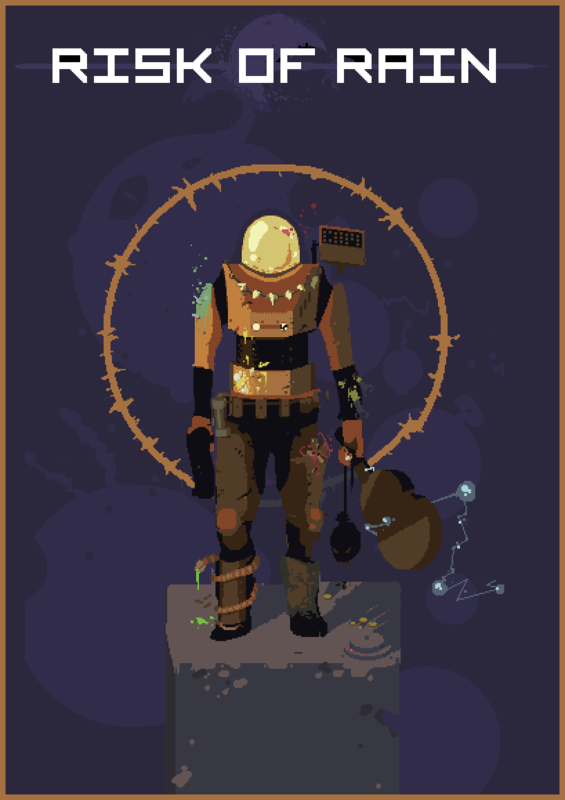 You play as one of ten characters ranging from the mobile Huntress to the robotic, melee-powerhouse Han-D. Each character has their own unique range of quirks to get used to, but new items and characters are locked behind a system of achievement completion. 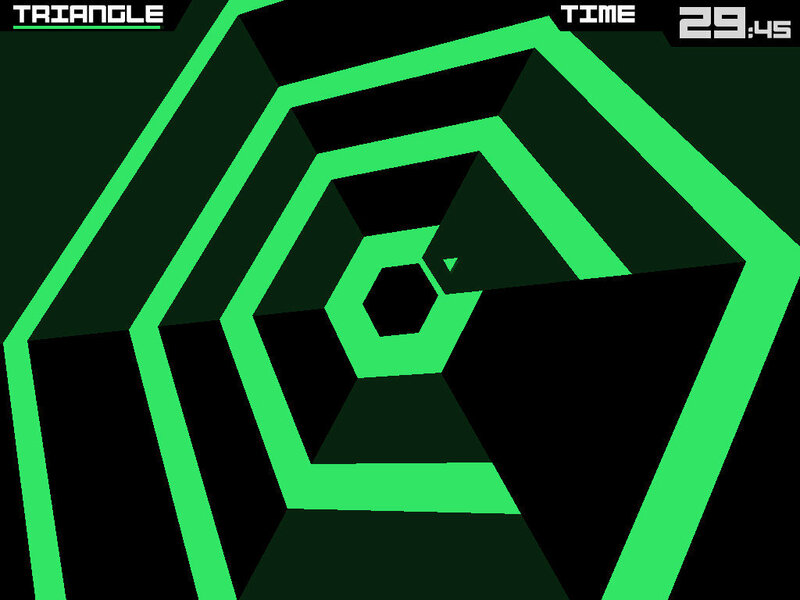 As the player, you will attempt to activate teleportation portals to try and pass through stages of enemies while picking up gold, power-ups and experience along the way. 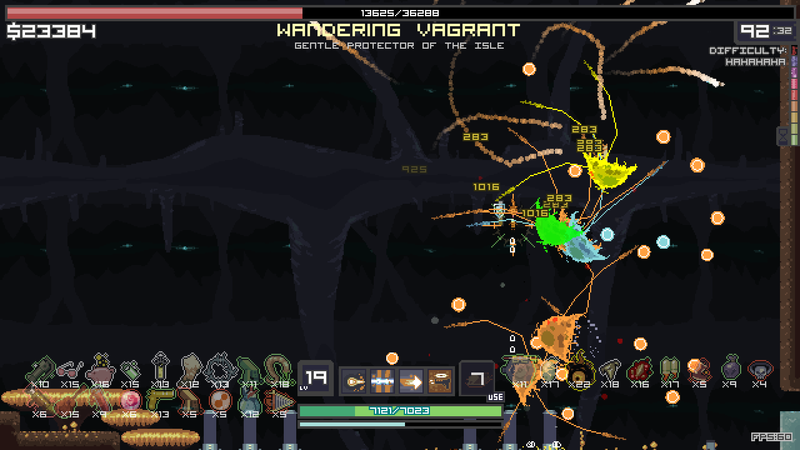 The specific twist in Risk of Rain is that as time goes on, the existing enemies not only reach god-like levels of difficulty, but new and even more terrifying enemies will spawn. In fact, one of the best parts about Risk of Rain is the simple yet engaging music which perfectly fits the atmosphere, while the individual sounds that the enemies make is just icing on the cake. On top of that, the bit-like artstyle adds a complimentary retro feel to the game that exacerbates its addictive qualities. 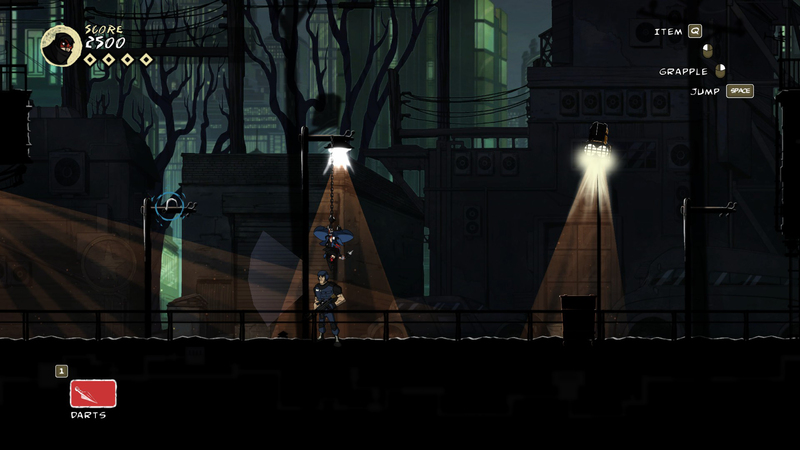 It is not a rare experience to find oneself caught up in the fast-paced, unforgiving gameplay which Risk of Rain offers. There are few things as simultaneously rewarding yet heart-wrenching than making it passed the thirty minute mark, only to be caught out in a moment of weakness as I’m bukkaked by the giant horde of enemies I had been trying to kite around the level. I’m sure there have been times people have caught me playing the game thinking I’ve been engaging in an intense workout due to the amount of sweating and guttural screaming that is typical of a Risk of Rain session. Editor’s Note: Play with your friends. You’re welcome in advance.